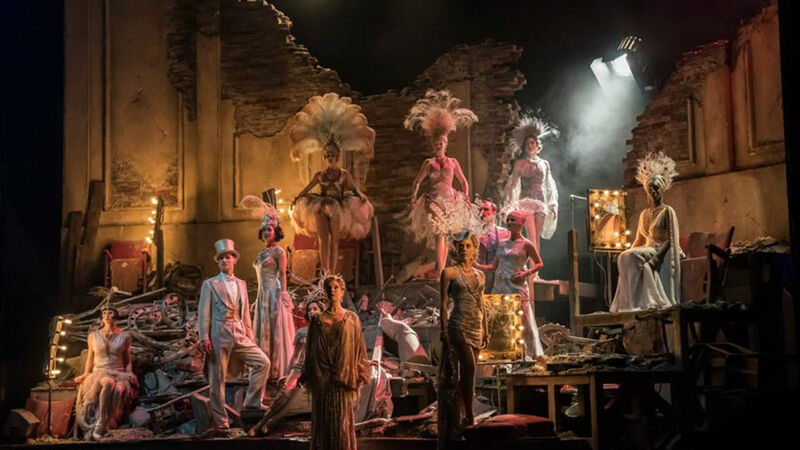 Exploring the current award-winning production of Follies this talk will focus on the practicalities of creating and putting together this NT production, hosted by Kate Mosse. The day will begin with an interview with director Dominic Cooke to give an overview of his creative vision for the piece and how it came about. Set and costume designer Vicki Mortimer will then discuss her set design, and will be joined by Iona Kenrick (Deputy Head of Costume) and Sarah Mercer (Head Ladies Cutter) to show some of the ladies costumes and headdresses and explain how they were made. You'll hear how the costume quick changes happen in the wings between scenes, and demonstrations will show how every second counts. After lunch, associate director Josh Seymour and musical director Nigel Lilley will lead a rehearsal demonstration with some of the Follies cast members on the Olivier stage, showing how a few sections of the show were approached in rehearsal. Finally, the stage management team will give you a behind-the-scenes demonstration of how the lights, sound, flys and automation work together to make scene changes run like clockwork. There will be an hour's break for lunch (which is not included in the ticket price).